"Quality in Concrete" is what we preach. From the begining of the building process to the end, each step is carefully planned so we provide our customer not only with a high quality project but a high quality experience. Gendron Building is a concrete company specializing in most aspects of cast in place concrete such as Foundations, Floors, Suspended Slabs, Dams, Water Tanks, Agricultural work, and ICF construction. 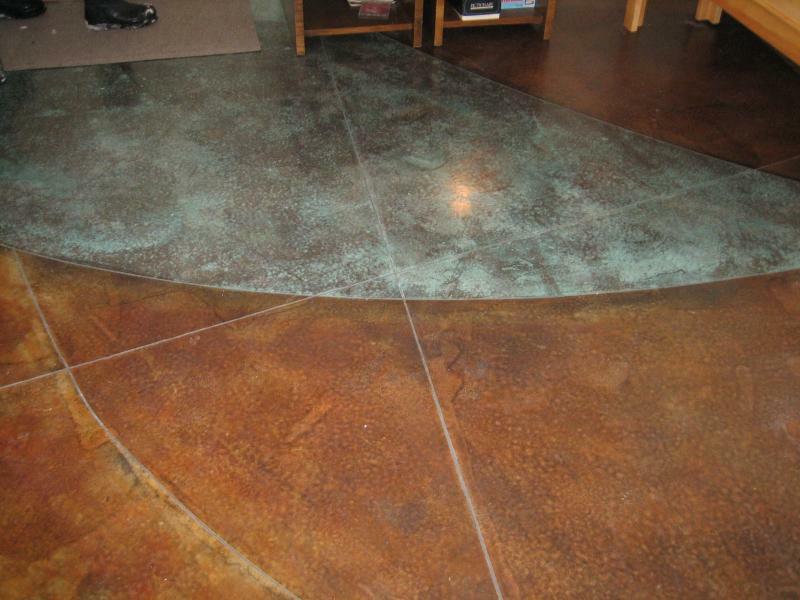 We also specialize in decorative concrete work mostly dealing with stained floors, stamped concrete and concrete counter tops. We've been serving the commercial and residential needs of Vermont and New Hampshire since 1976. Gendron Building was incorporated in 1995 and is fully insured. To see some photos of some of the team members working at Gendron Building click on the link below or go to our staff page. The team members at Gendron Building have spent many years developing relationships with our customers. As part of that relationship and commitment, we continually educate and train ourselves; so we can further educate our customers and provide them with highly satisfying construction experience. This is the combined experience of our management and supervisor team. That averages out to 22 years per team member. Our most senior member of Gendron building is Louie Gendron. He has been in the concrete business for 42 years and continues to expand his knowledge of the concrete industry with each year. Working along side him for more than 20 years each are Andy Flynn, Phil Roach and Judy Gendron. Several other Gendron Building team members exceed 20 years of experience and have worked with us for 10 plus years. All of the experiences each team member brings to Gendron Building is part of what we offer to our customer. It's their knowledge, expertise and skills that make for consistent high quality jobs and highly satisfied customers. Although, working on unique jobs and dealing with different types of customers adds to our experience level; we also take additional measures to challenge ourselves. Several of our team members are ACI certified floor finishers. Confrences and classes are attended for new product iformation and safety information. Each year we send representitives to the World of Concrete for the expo and various classes they offer. Several employees have received master cirtificates from taking classes in specialized areas of concrete work. We have bi-weekly Foreman meetings to fill each other in on what's happening job to job. All of Gendron Building team members attend a bi-weekly safety meeting to update them on safety concerns. We read several industry related publishings on a monthly basis to ensure we are up to date on new products or techniques. Our commitment to provide an all around high quality construction experience is what keeps many customers coming back and new ones calling us each year. Copyright 2008, Gendron Building. All rights reserved.